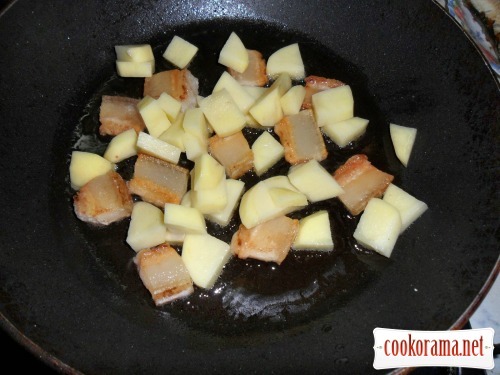 Cut lard as you wish and simmer on medium heat until slight fat. 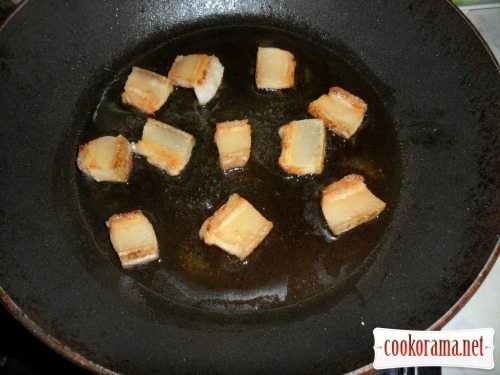 Chop the potatoes and fry on a strong heat. 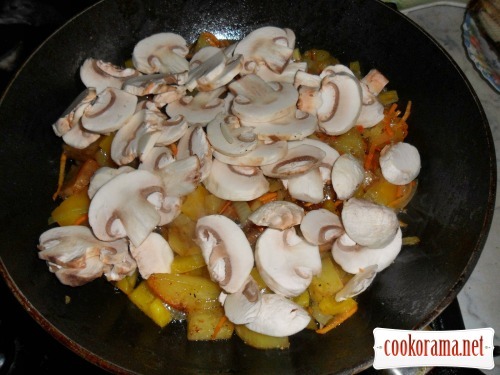 Add chopped onion, Bulgarian pepper, carrot, and in a few minutes add chopped champignons. 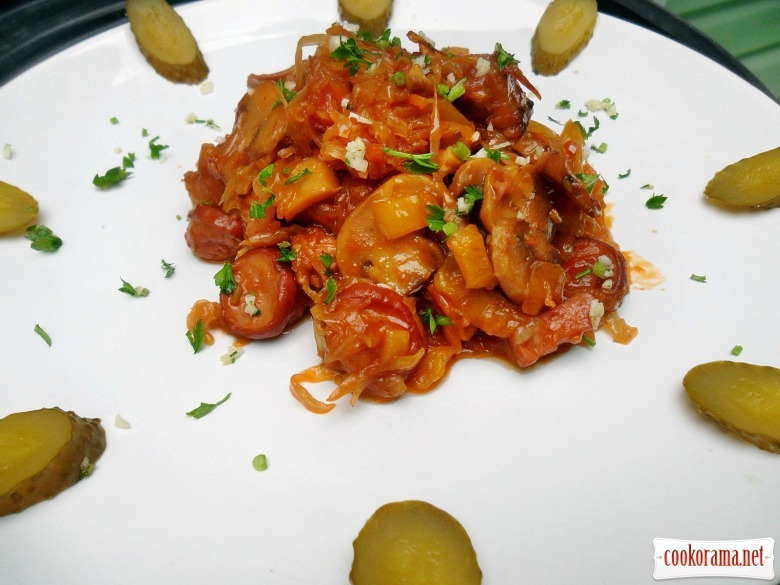 In 5 min add sliced sausage, chopped garlic and parsley. 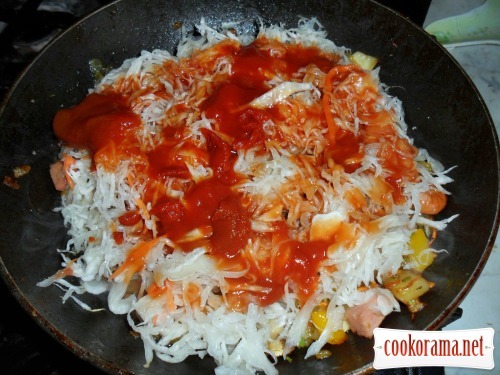 Fry and add cabbage, tomato paste. Mix it, reduce the heat to minimum, pour some broth, cover with lid and stew for an hour, from time to time adding broth. 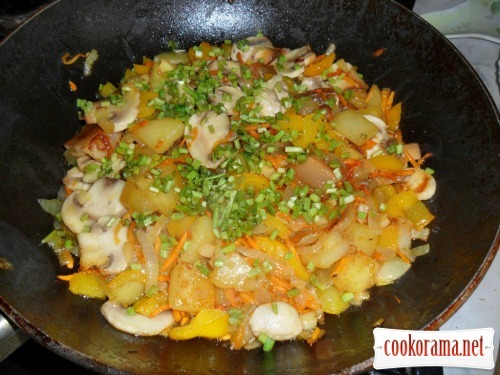 Then spread on the plates, sprinkle with chopped greens with garlic. 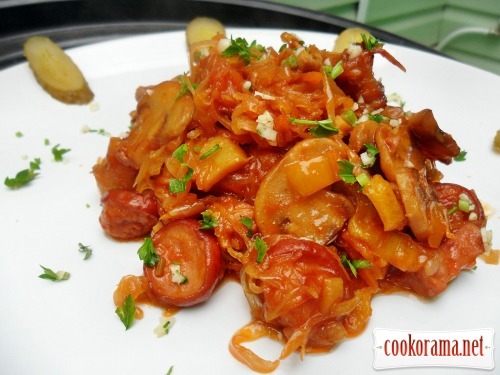 Top of recipe "Sauerkraut stewed with vegetables, mushrooms, smoked sausage"